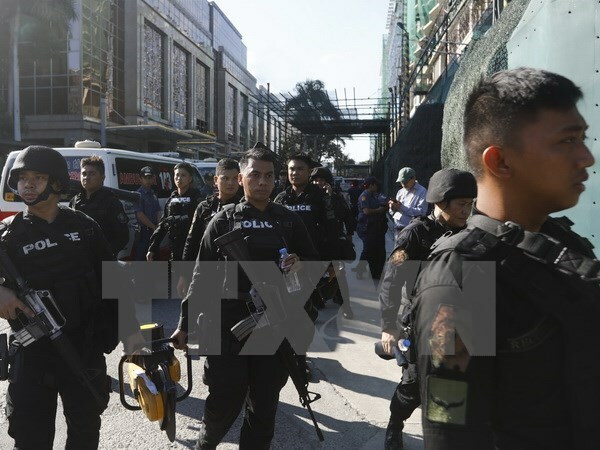 Manila (VNA) – The Philippines has tightened security ahead of meetings between ASEAN foreign ministers and their Asian-Pacific partners, which will begin in the capital city of Manila on August 5. According to Philippine authorities, about 13,000 police officers were mobilised to prevent terror risks in Manila during the event, amid ongoing clashes between the Government’s forces and insurgents in the southern Marawi city. Security was also enhanced in the Philippine International Convention Centre in Pasay city, south of Manila. As many as 1,700 senior officials are scheduled to attend the conferences from August 2-8. At the 50th ASEAN Ministerial Meeting and relevant conferences, the foreign ministers will discuss progress and future orientations of the building the ASEAN Community, as well as share their views to bolster regional and international development, said spokesperson of the Philippine Department of Foreign Affairs. Besides, the officials are expected to issue a joint statement of the meeting, a statement of the East Asia Summit’s Chair, and another on terrorism, an emerging challenge in the region that needs close cooperation of the countries.